Welcome HOME! 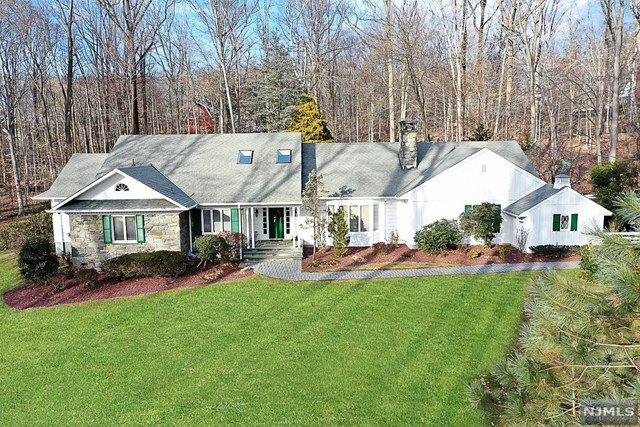 This Magnificent expanded ranch nestled on one of the most sought after streets in Saddle River. Sits on 2 private lush acres. Perfect for entertaining, home welcomes you into a dining and formal living room perfect for entertaining. The kitchen overlooks the entire backyard oasis, sun drenched kitchen has eat in area overlooking the property, patio and pool, as well as cozy sun-room sitting area w/ fireplace. Perfect to relax with guests and family! The first floor master suite offers walk in closets as well en-suite spa bath. Second floor offers three large bedrooms with WIC. The renovated basement is wonderful for entertaining, has a bonus room and bathroom. All this on a quiet dead end st. Close to NYC! Low taxes! FLAT TWO ACRES. SLAY RIDING HILL IN THE BACKYARD.